This is a class for Photographers, Graphic Designers, and Graphic Production Professionals, who wish to have a deeper understanding of the Digital Image Workflow from input to final output. Whether you use a camera, scanner or stock photography, you will benefit from this workflow overview. In particular, we will look at how to control color as it passes across different digital devices. Students are encouraged to bring a laptop computer. The software used for most demonstrations will be Abobe CS5 Photoshop. ● What is Color Management, and how does it effect digital images? 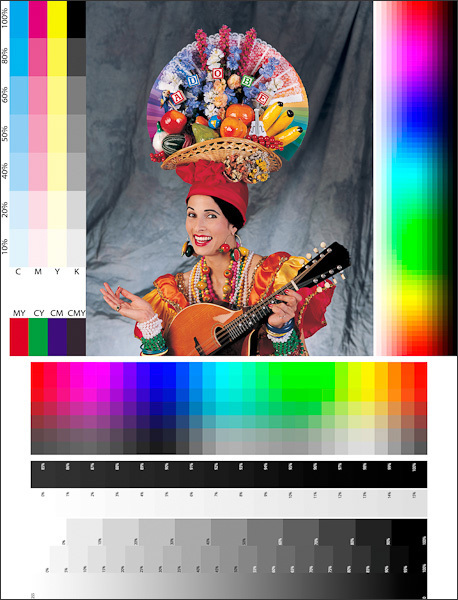 ● What do these terms mean: Color Gamut, Working Space, ICC Profile, Color Space. ● Setting your application Color Settings for an optimum Digital Image Workflow. ● The best way to convert digital images from RGB to CMYK. ● The difference between sRGB, Adobe RGB 1998, and ProPhoto RGB. ● How to create a custom camera color profile. ● What color questions should I ask a photographer who will supply me with digital images? ● How do I profile my monitor? ● How can I get predictable results from my ink jet printer? ● Image sharpening: how much and how often? To register for this class, click here , or call our toll-free number 877-372-2231.